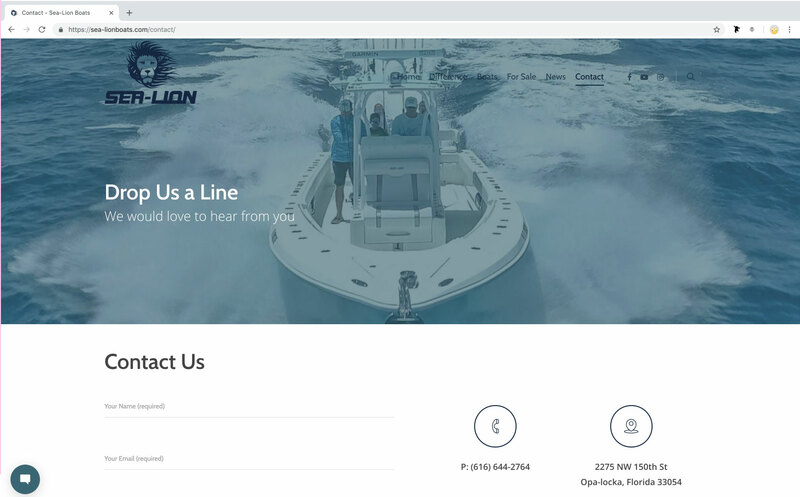 In partnership with Sea-Lion Boats, we have been guiding their business toward the goals they set through a refinement of their brand, solid print materials, and a more vocal presence on social media. 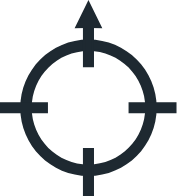 Scroll to view the tools we established for them. 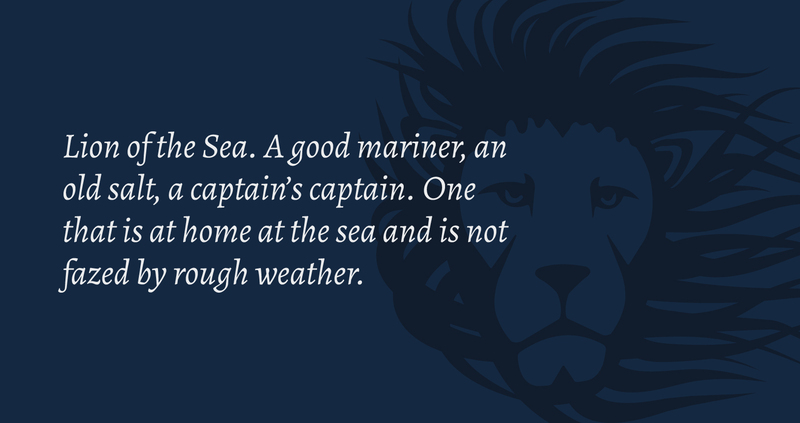 A good mariner, an old salt, a captain’s captain. 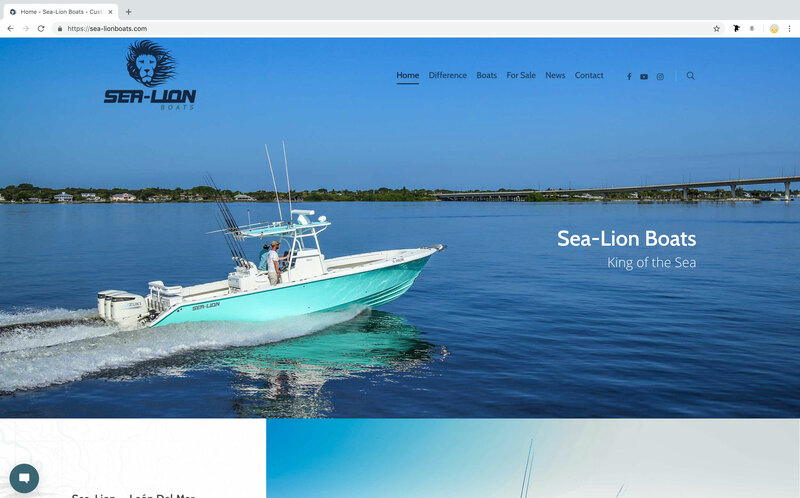 The boating industry is competitive, especially in the South Florida area, so Sea-Lion needed a way to stand out. 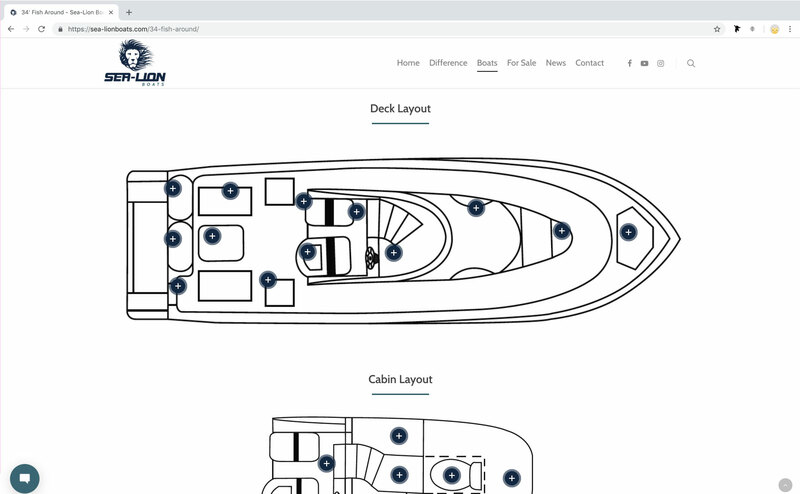 They needed to be able to effectively reach their audience of buyers, who are passionate and particular about their needs. Relatively new to the industry, Sea-Lion needed help if they were to be successful. 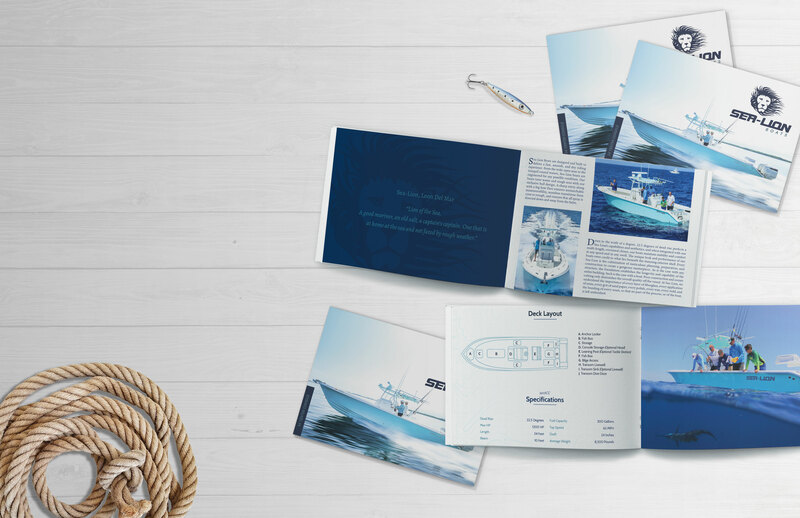 We took on the challenge, providing them with a refresh to their logo, as well as their brochures. Their social media platforms were not reaching their full potential, so we took over to boost their visibility. 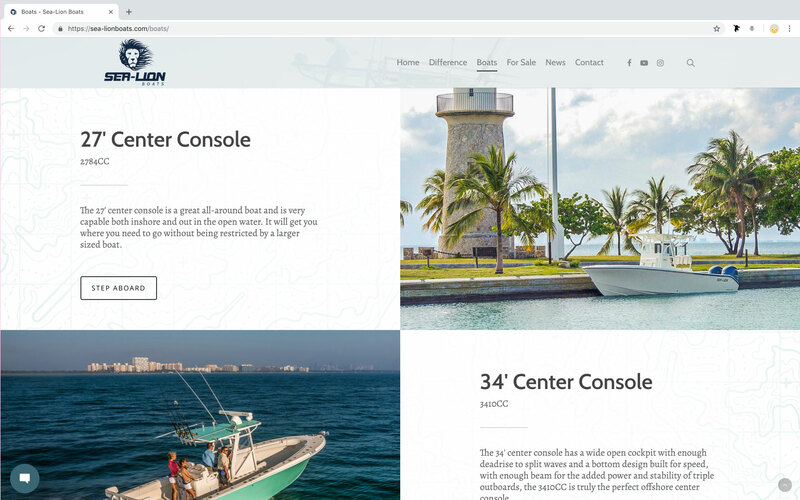 In addition, we found it necessary to do a website update, making their site more user-friendly and on-brand. The old Sea-Lion logo looked out-of-date, and unoriginal. Spotting this logo in a sea of other boat company logos would be a challenge. We asked, “what’s different about Sea-Lion?” and applied that answer to the new logo. A few simple updates have taken this logo to a new level. The company now successfully represents the high-end products they produce. The name “Sea-Lion” brings a rich cultural and mythological backbone to the brand. Sea-Lion is a term in the Cuban culture of Miami meaning: “Lion of the Sea. A good mariner, an old salt, a captain’s captain. 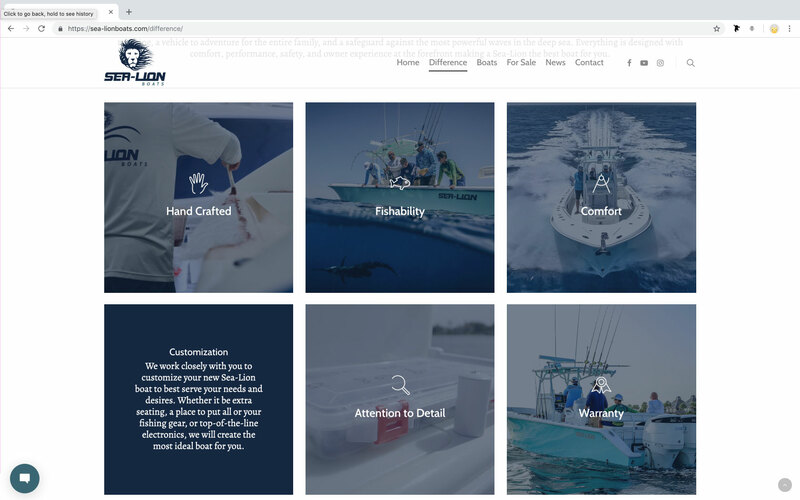 One that is at home at the sea and is not fazed by rough weather.” We simplified the logo to focus on the emblem — representative of the ideal audience itself — while maintaining brand recognition. In addition to updating the logo, we added a few colors to the Sea-Lion pallet. 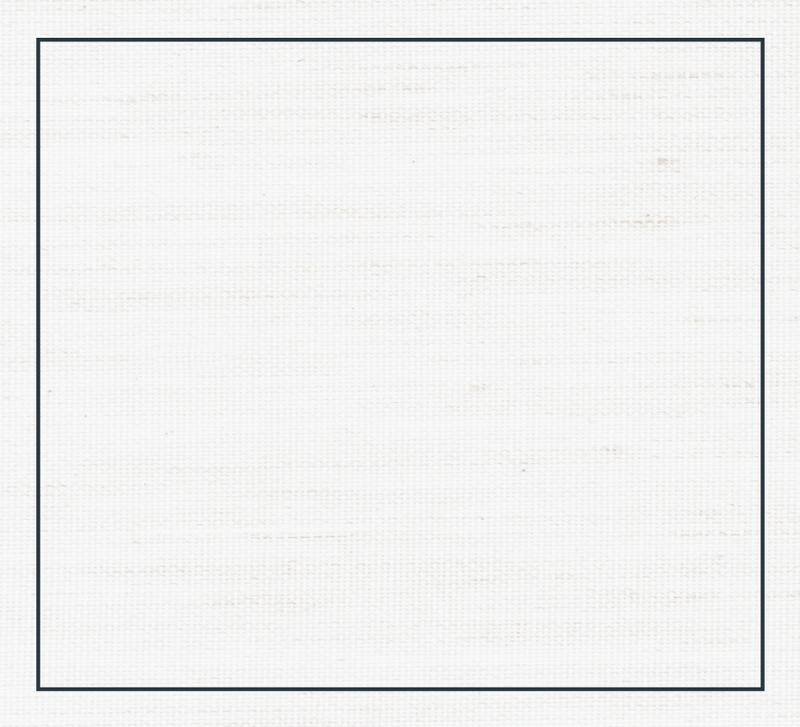 The original blues needed some muted tones to compliment them and heighten the feel of the brand. 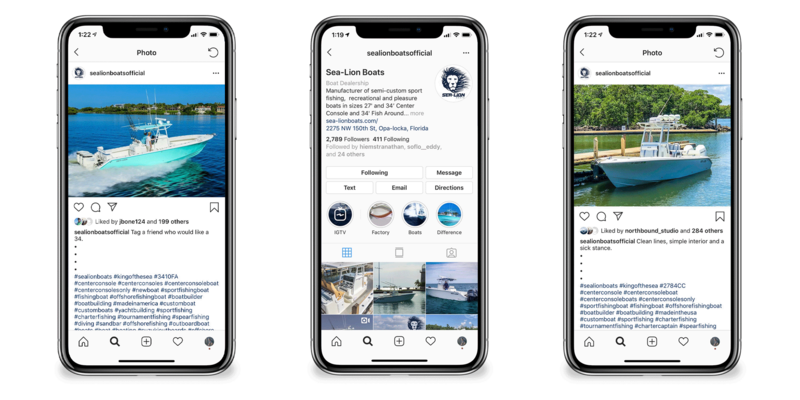 Building up Sea-Lions social media presence has had a tremendous impact on how current and potential customers interact with the company. From the onset we focused our energy on Instagram and Facebook, allowing us to find the right balance between creative imagery and compelling writing. Striking this balance has increased Sea-Lion’s social media outreach by nearly 800%!